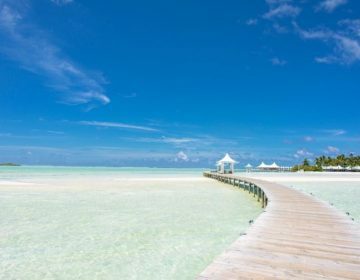 Most people go on holidays to the Maldives for its picturesque beaches, luxurious resorts, incredible reef systems and fabulous weather. 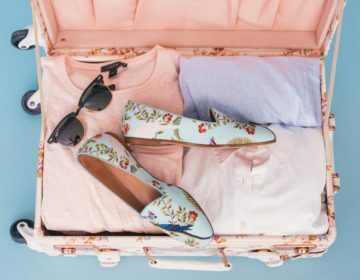 In short, the full barefoot in paradise package. What many don’t know is that the Maldives is also home to plenty of other attractions, many of which are culture or historic based. No visit to the Maldives islands is complete without exploring beyond the private island resorts to see the more Maldivian side of things. 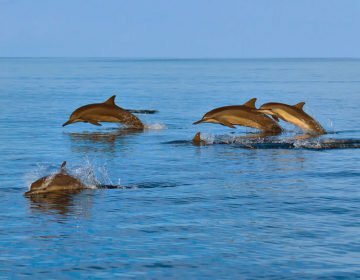 If you are planning a vacation a holiday in the Maldives, here are a few must see Maldives Points of Interest. Most landmarks in the Maldives can be found on the island of Malé; the capital of the Maldives. The island itself is not one of the top places for holidays to the Maldives, but it is well worth wandering around this charming island to see the landmarks and get a feeling for the local Maldivian way of life. The Islamic Centre is home to the largest mosque in the Maldives and is one of the archipelago’s main points of interest. 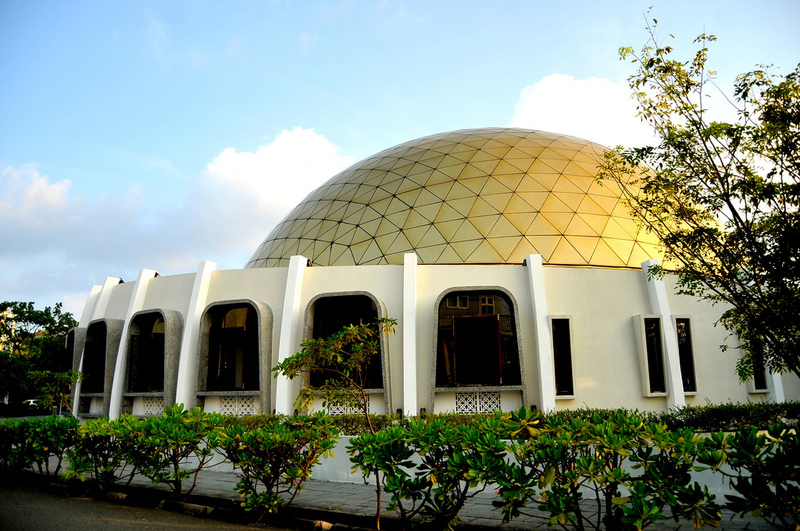 It is one of the city of Male’s most well-known landmarks thanks to its impressive golden dome. This large mosque can accommodate around 5,000 people, making it one of the largest mosques in all of South Asia. 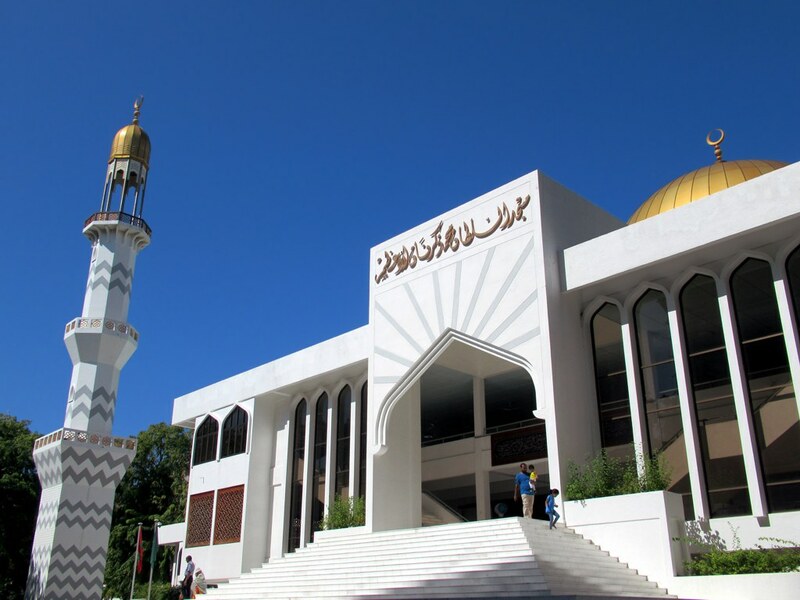 Officially named Masjid-al-Sultan Muhammad Thakurufaanu Al Auzam, the center is also home to a conference hall, a library, and the Ministry of Islamic-Affairs. It has become a major tourist attraction not only because of it is a beautiful piece of architecture, but also because of its location near the city’s main jetty. The mosque’s golden dome stands out in the Malé skyline, while its walls are decorated with lovely Arabic calligraphy and woodcarvings. 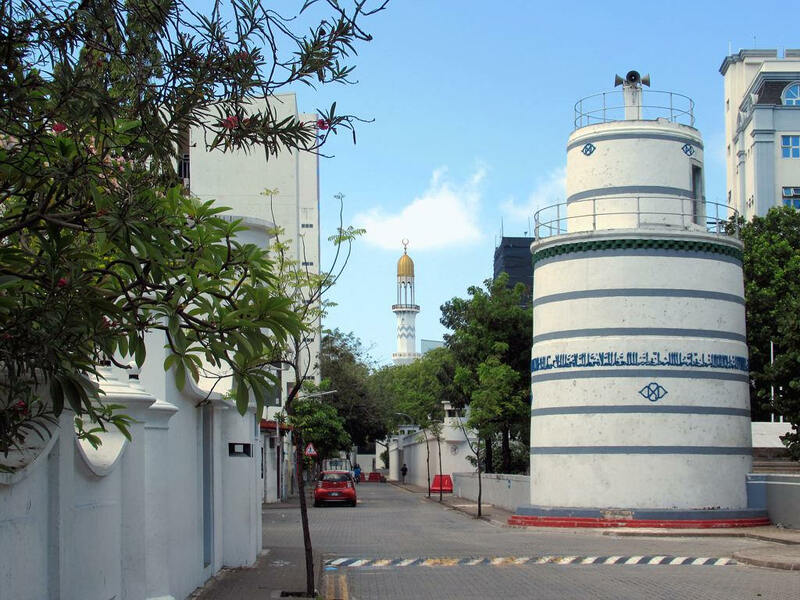 Officially called Malé Hukuru Miskiy, the Malé Friday Mosque is one of the oldest mosques in the Maldives. It also happens to be one of the archipelago’s most ornate mosques, what with its intricate carvings, incredible lacquer work, and vaulted, decorated ceiling. It also features a round blue and white minaret that looks much like a wedding cake. The minaret is surrounded by a graveyard with headstones that have been carved out of coral. The mosque itself, which was built in 1658, was constructed using coral boulders and other basic materials that were used as construction materials in the Maldives at the time. Located just opposite the Malé Friday Mosque is Medhu Ziyaaraiy Tomb; or the Tomb of the Introducer of Islam to Maldives. This blue and white structure is where Abdul Barakat Yoosuf Al Barbary lays, a scholar who is said to have brought Islam to the Maldives in 1153 AD. According to legend, a sea demon named Rannamaari terrorized the people that lived on the Maldives islands, and every month they had to sacrifice a virgin girl or they would suffer his wrath. On the last day of every month, the king would choose a girl and lock her into an isolated temple. The next day she would be found dead. Apparently Abdul Barakat Yoosuf Al Barbary convinced the king to lock him into the temple rather than a virgin girl. While there, he cited the Quran. Rannamaari heard this and fled. The king then promised to convert to Islam if Abdul Barakat Yoosuf Al Barbary could permanently rid them of the demon. The Moroccan scholar accepted, and the demon never returned. The Maldives then become Islamic. Not only is a visit to the National Museum a great escape from the heat, but it is also a chance to learn all about the history and culture of the archipelago. 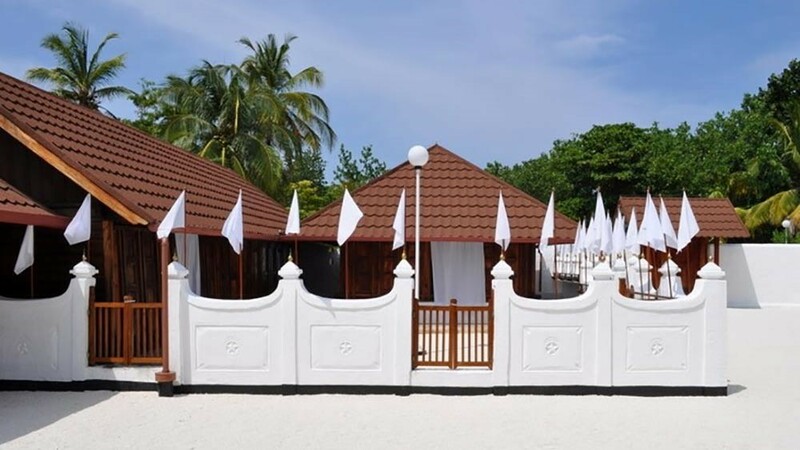 The museum opened its doors on November 11, 1952 on the National Day of the Maldives. The purpose behind the museum was to preserve the history and patriotism of the local people. The museum has a diverse collection of artefacts on display that range from stone objects to fragments of royal antiquities from the Maldives Buddhist era. There are Islamic thrones, furniture, costumes, shoes, ornaments, and armor. Also on display are historic ceremonial dresses, turbans, and belts that were worn on special occasions. Some of the main highlights of the museum’s collection include an 11th century coral stone head of Lord Buddha, a 13th century engraved wooden plank, and an intricately weaved 16th century sarong. This is one of the Maldives oldest tourist attractions, and a must for any art lover. It exhibits traditional Maldivian arts and crafts, as well as modern art. All works of art in the gallery have been created by local artists, and many exhibitions are held here. The Esjehi Art Gallery is also known for its incredible fine carvings and wood panels. If you collect art or like to look at it, a visit here is a must. Islands is what the Maldives is all about. However, most come to enjoy the tranquility and exclusivity that the luxurious private resort island resorts have to offer. Many of these are named as the best private islands in the world. Local islands are major Maldives points of interest, as they have character, charm, and friendly faces. The northernmost of all of the islands of the Maldives, Utheemu is a beautiful island with a lot of history and charm. It is one of the archipelago’s inhabited islands, and is famous for being the birthplace of Sultan Mohamed Thakurufaanu – the leader of the group that fought in an eight-year long war to drive out Portuguese invaders. One of the main attractions on the island is the wooden palace in which he grew up; Utheemu Ganduvaru. It is a fantastic example of how the elite lived many centuries ago. The island is also home to the usual gorgeous white sandy beaches and stunning crystal clear water. This inhabited island has a lot of charm and a thriving local community. Maafushi is one of the islands of the Maldives that has opened up to tourism, allowing guesthouses to open up around it. What this means is that it has become one of the top islands for cheap Maldives holidays. It is home to some gorgeous beaches that are lined with swaying palms, local restaurants, and cozy little coffee shops, and definitely a main Maldives point of interest. This artificial island was reclaimed due to the growing population on the neighboring island of Malé. It was acquired to develop housing, commercial, and industrial projects, with its official settlement being inaugurated on May 12, 2004 by President Maumoon Abdul Gayoom. Today, it is a lovely island for a day trips thanks to the magnificent glass-topped Mosque of Hulhumalé, its charming leafy neighborhoods, and its promenade walkway. Although Maradhoo was opened to tourism in 2008, its first ever guesthouse didn’t open its doors until 2013. As a result, it is a non-touristy spot where you can see what true Maldivian life is all about. The locals here are extremely laid-back and welcoming to visitors, even to those just stopping on the island on a day trip. It is a long, thin island that juts out into the Indian Ocean. 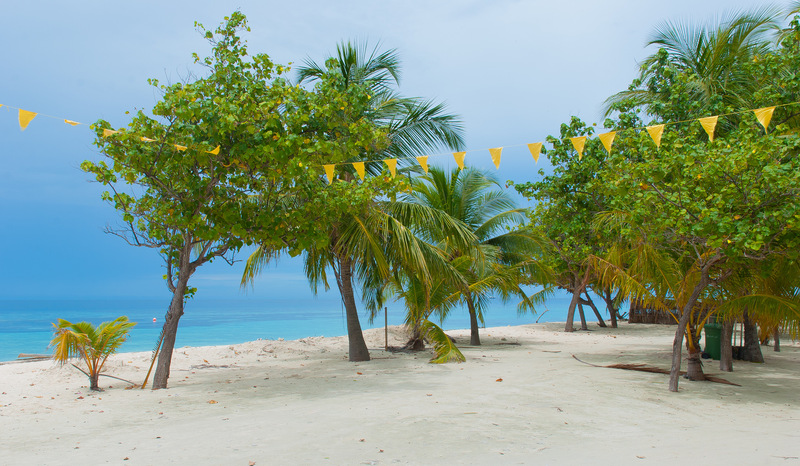 Its quiet narrow beaches are framed by swaying coconut palms, creating a serene atmosphere. Anyone visiting the island should be sure to walk down Link Road and have a coffee at one of the coffee shops, or grab a sandwich from a street vendor and enjoy a picnic lunch. Beaches, crystal clear blue sea, colorful coral reefs, and swaying coconut palms is what you would expect to see when you are on holidays in the Maldives. But there are also other natural attractions that are well worth leaving the beach for. This Protected Marine Area is one of the main reasons why divers visit the Maldives. 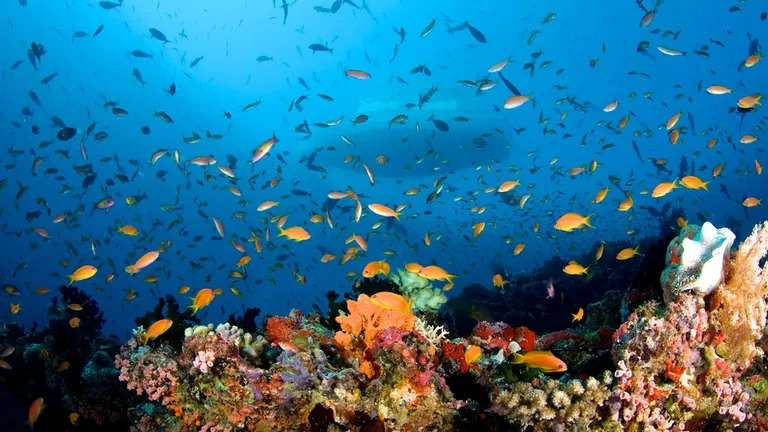 In fact, it is one of the best spots in the archipelago to stare at the colorful reef, reef fish, and underwater sandbanks. It is also a fantastic spot to get a glimpse of barracuda, reef sharks, blue-stripped snapper, and grouper. This is one of the Maldives main points of interest for its manta rays alone, with over 200 of them swimming around freely in Hanifaru Bay. It also happens to be one of the only places in the world to see their remarkable cyclone feeding. Part of the UNESCO Baa Atoll Biosphere Reserve, Hanifaru Island is also home to an abundance of whale sharks that feed off of the coral reef. In fact, it is said to be the world’s largest feeding station for these gigantic fish. 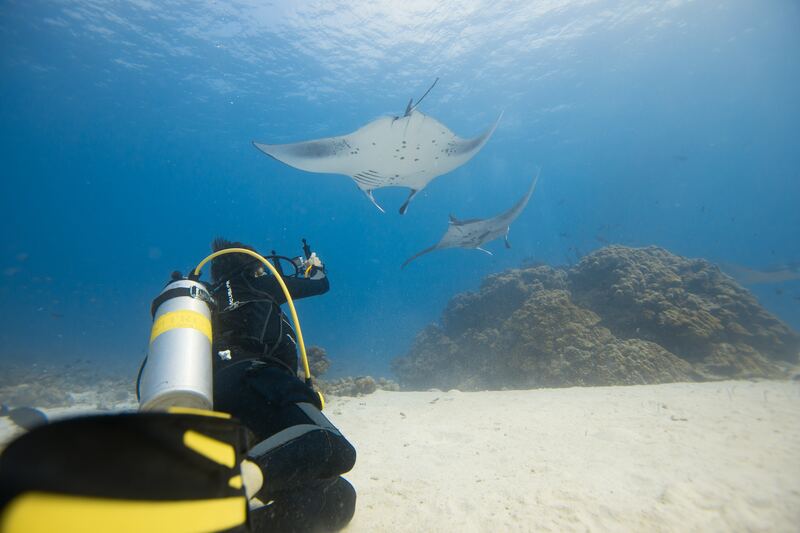 This seasonal dive spot truly comes alive between May and September when the mantas come out to play. The reef acts as a huge cleaning station, and the mantas come back again, and again, and again. There are three cleaning stations in all, and the mantas actually line up to use their services. Divers can hover over top of them and watch them in action. 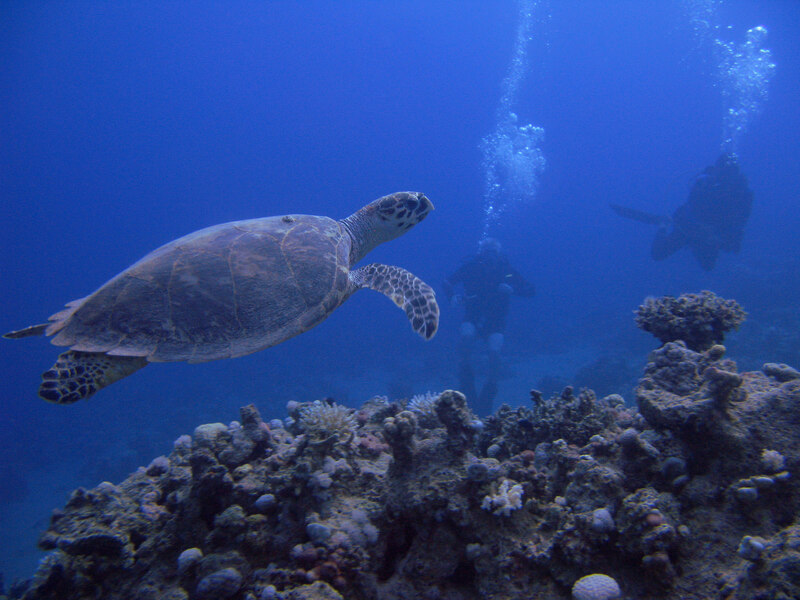 There have also been many sightings here of white tip reef sharks, barracuda, eagle rays, and hawksbill turtles. 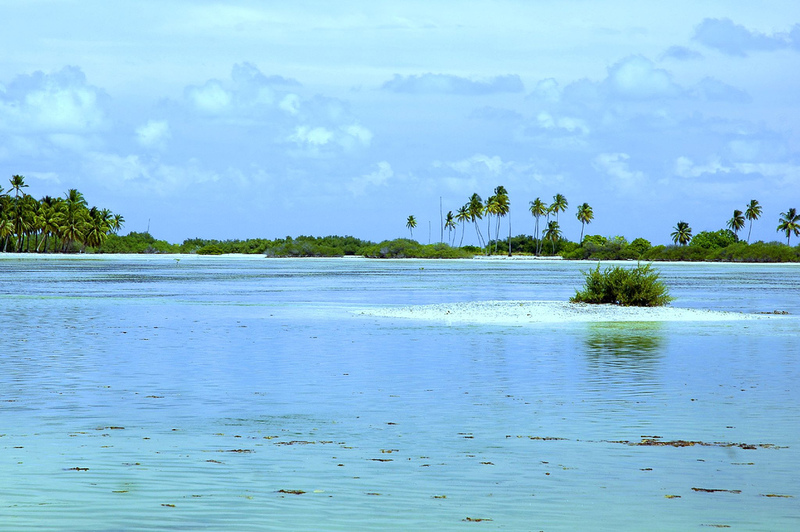 Thoondu is a picturesque white sandy beach that is located on the north end of Fuvahmulah Island. The beach is one of the island’s main points of interest, with hundreds of people visiting it each and every day. The sand on the beach is formed by tiny white pebbles that are abnormally smooth and shiny. These kinds of pebbles are exclusive to the island, as there is no record of anything like them anywhere else on the planet! It is a protected area, which means it will retain its beauty. There is a natural phenomenon that happens every year at Thoondu Beach, when the sand moves away from the shore to the edge of the reef. This creates a beautiful lagoon that is completely enclosed by sand. The phenomenon – called Bissaaveli – attracts thousands of locals who come to see this amazing sight. Like the sand, there is no other place in the world where Bissaaveli exists. Maldivian cuisine is the traditional cuisine of the locals. It is based on three main items; fish, coconut, and starches. Curry is one of the main dishes, which combines all three. Tuna (kandu mas) is the favorite in the Maldives, eaten either dried or fresh. Locals also make processed tuna, which is added to curries, and rihaakuru (tuna paste). 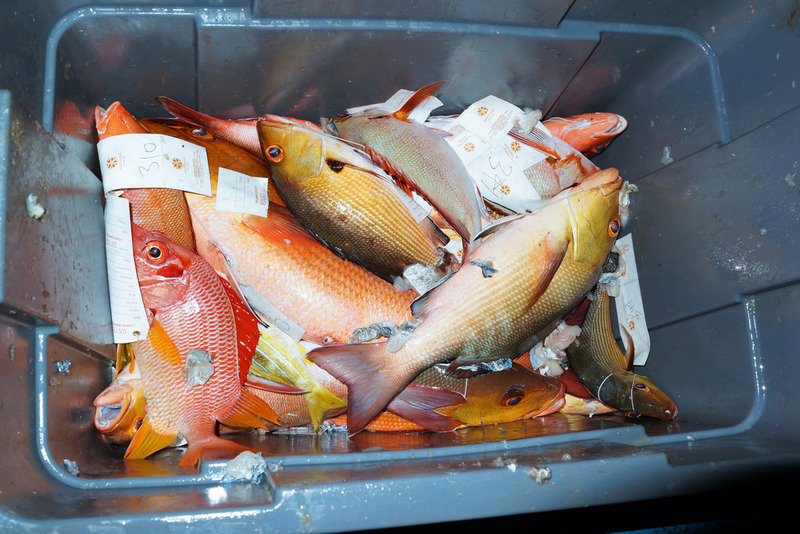 Other fish that is often eaten in the Maldives include little tunny, bigeye scad, mahi-mahi, and mackerel scad. Common fish dishes include mas huni (shredded smoked fish with grated coconuts, and onions), fihunu mas (barbequed fish with chili), and Gulha (dumplings stuffed with tuna, coconut, chili, and onion). Coconuts are grated, squeezed to produce coconut milk, or made into coconut oil to be used for deep frying. Grated coconut is used in many dishes, including mas huni and bajiya (pastry stuffed with fish, coconut, and onions). They are grated using a traditional hunigondi, which is basically a serrated steel blade. Coconut milk is used in curries like mas riha (fish curry) and kukulhu riha (chicken curry). This is mainly rice, which is eaten boiled or ground into to flour and be used to make dough or batter. Other common starches that are seen in Maldivian cuisine include cassava, sweet potato, and taro. Rice is eaten with pretty much every meal, while other starches are either right in the dish or as a side dish.